Motorola Mobility, the handset and tablet device making spin off company from the Motorola mother ship recently announced their Q1, 2011 financials. 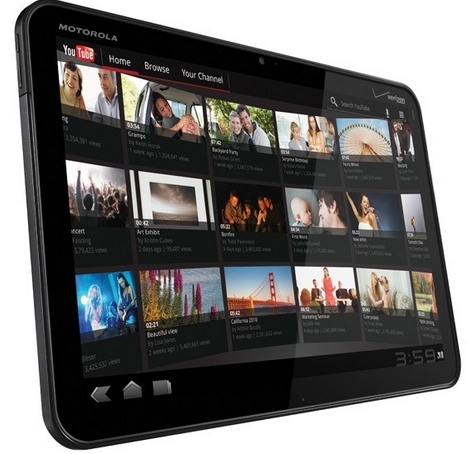 According to BGR.com, Motorola shipped something north of 250,000 Xoom Android powered tablets. Not too bad for a device that doesn't have a fruit logo on the back, and certainly better than the ugly sales figures that are being tossed around by analysts for RIM's BlackBerry PlayBook. "The Company shipped a total of 9.3 million mobile devices, including 4.1 million smartphones and more than 250,000 Motorola XOOM™ tablets. In the first quarter of 2010, the Company shipped 8.5 million mobile devices, including 2.3 million smartphones." The good news for Motorola Mobility is that they are selling more Droid devices, smartphone and tablets, than they were a year ago and is holding their own against the pack of iPad wanna be devices. If you are looking to pick up a Moto Xoom, Sprint announced today that they will begin selling Wi-Fi only version of the Android 3.0 Honeycomb powered tablet starting on May 8 for the "low" price of $600.